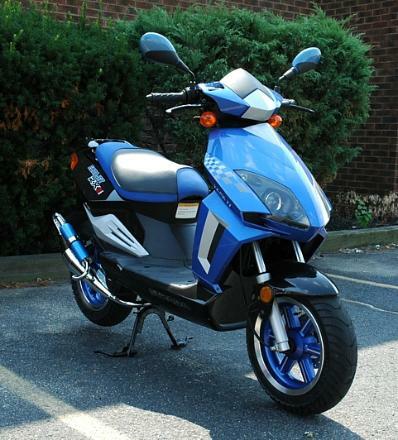 Strada RX8i gas scooter, a high quality 50cc motor scooter at an affordable price. and get most of the same features for less! TO YOUR HOME WITH LIFTGATE! and motor scooters that come 99% assembled. DOT and EPA approved! All Strada scooters come with a 6 month powertrain warranty, parts only. available on the new Strada RX8i motor scooter.